I love December. I had two of my four children in December, and I think that’s why it is my favorite month. Well, I also love the cold, and I do like to visit the snow—but I don’t like to shovel it! I think it is my favorite month because I have really warm fuzzy memories of holding a brand-new baby in my arms while sitting in my rocking chair in front of the sparkling Christmas tree. Those are the times that make life worth living and special for me. I’ve always write a new holiday song every year, which I share with my family and friends. So that’s why I like to fill my December music class with Ho, Ho, Ho! Try singing, then playing, then moving, then singing again. Try this music lesson schedule! 5 to 10 minutes of hello song and warm-up activities. Creating a flow of active and inactive activities will help fill December music class with Ho, Ho, Ho! SUBSCRIBE to the FREE RESOURCE LIBRARY, and you’ll be able to use these flash cards in your December music classes. There is no time to make a poor choice because we’re too busy making music! Try choosing a favorite song that everyone can sing or one that each grade level will sing. Then choose some type of creative movement activity, such as a freeze dance, folk dance, or scarf activity that you can use for your K-3 classes and one you can use for your 4-6 grades. Finally, have students practice playing a different song. Or use your classroom instruments to show High/Low, Fast/Slow, or to echo rhythmic patterns for an activity. 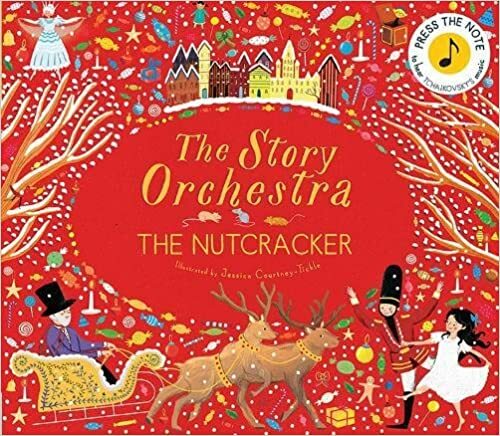 One way to add in some composing activities might be to use the story and music of The Nutcracker. Give students an opportunity to express how music makes them feel as they listen to some selections from The Nutcracker while coloring. Using a variety of teaching strategies across grade levels will fill December music class with Ho, Ho, Ho! Here are some of my ideas on how to implement this idea in your lessons using the same songs across grade levels. There are many ways to keep the “ho, ho, ho” going in music class. For me, the easiest way is to organize the lessons so that students sing, then move, then play instruments, and then sing again. Creating a flow of diverse activities keeps my students engaged. Using similar music activities across grade levels will fill December music class with Ho, Ho, Ho! You can differentiate the activities for that song for each of the grade levels. It is the perfect time to get out those Orff instruments and have students singing and playing. Use creative movement activities for K-3 and different ones for your 4-6 grades. Here are some examples of how this might look. Using some similar materials will help ease the stress of the holiday wiggles and fill my December Music class with Ho, Ho, Ho! I like to give students as many opportunities as possible to experience a variety of holiday music selections. I give them creative movement opportunities as we get closer to the holiday break. The longer I teach, the more I feel that students need interactive and diverse opportunities to really acquire musical skills. As a general music teacher, I developed my own curriculum so that each grade level experiences music in many different modes. I implemented a well-rounded curriculum, including singing with solfege hand signs, playing on non-pitched instruments, and pitched instruments such as xylophones, and provide many opportunities for creative movement (whether organized dance, movement or free), which provides the students with multiple opportunities to experience and learn musical skills through their elementary years. This variety can fill your December Music class with Ho, Ho, Ho! Sometimes I’ll have students write their own lyrics or compose short songs. 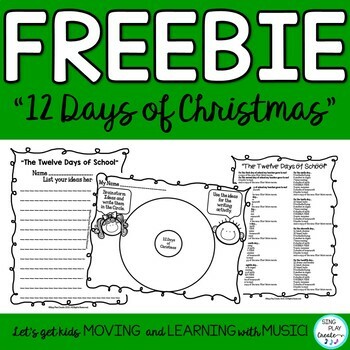 An activity on how to do this with “The Twelve Days of Christmas” is a FREE RESOURCE in the Sing Play Create Teachers-Pay-Teachers Store. I divide my students into small groups and have each group write one verse. Then they get instruments and either accompany or create some kind of ostinato to play along. Sometimes they like to add in drama, it just depends on the group that year. “12 Days of Christmas” Write your own lyrics. I also wrote a blog post focused on December Music Class Stations that you may find useful. Some of the ways I’ll be using the songs in the Free Resource Library in my music classes will be to have my Kinders playing a steady beat on drums and on xylophones while working on singing and playing together. In my music classes, the upper grades are playing recorders, ukulele, and guitars. We’ll work on chords and strumming patterns using these same songs. If you’d like a copy of my FREE RESOURCE “Holiday Sing-a-long” with easy songs for all grades with lesson ideas, just subscribe to the newsletter and you’ll gain access to the FREE RESOURCE LIBRARY. It is super fun is to have a sing-a-long with the 5th and 6th graders playing guitars while the 1st graders sing the songs. I use the holiday sing-a-long to teach everyone the same songs, and then we get together the week before the holiday break. The older students really like playing for the younger ones, and I’ve found that behavior is absolutely golden in these activities. I keep it super simple. The songs that we play are fairly familiar and easy to play so that everyone can get a positive experience. I’ll teach the younger students some hand actions which they’ll perform during the sing-a-long. Why not choose a picture book and have students create sound effects or ostinati for the characters in the story? I’ve found a couple of titles that work for this type of activity. (Note: These links will take you to amazon.com. I do not receive any remuneration for these links). 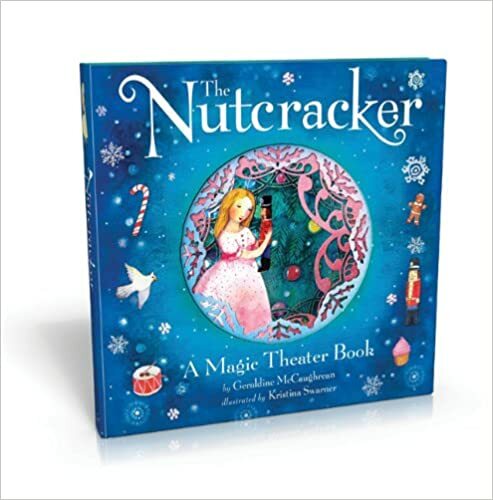 My very favorite story is The Nutcracker. Don’t forget to SUBSCRIBE to the FREE RESOURCE LIBRARY so you’ll be able to use these flash cards in your December Music Classes. What are your very favorite ways to fill your December music class with Ho! Ho! Ho?